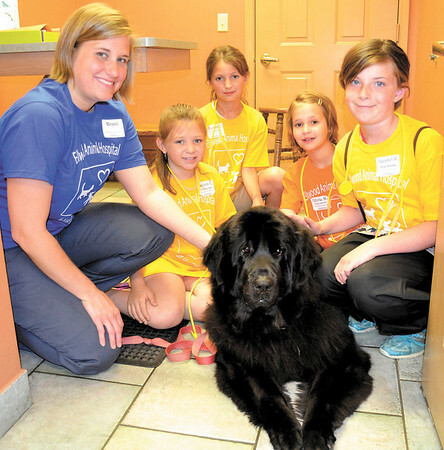 Local students are having fun learning about pet care and veterinary offices. Vet tech Megan Munyon shows a group how to pet "Duchess." From left are Melanie Carlin of Beaver, Parker Jendrysik, of Union Township, Olivia Morrow of Ellwood City and Cameron White of Grove City.